Grab your tissues before watching the new three minute trailer for A Dog’s Journey, the 2019 sequel to 2017’s A Dog’s Purpose. The trailer gives away a lot of the plot, but it’s worth checking out just to see the new canine stars. The family film based on the novel by W. Bruce Cameron stars Marg Helgenberger, Betty Gilpin, Henry Lau, Kathryn Prescott, and Dennis Quaid. 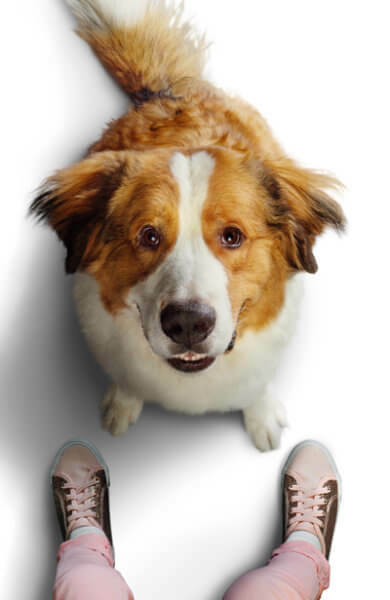 Josh Gad returns to voice the role of the film’s four-legged star, Bailey. Gail Mancuso (Modern Family, Man with a Plan) directed from a script by Cameron, Cathryn Michon, Maya Forbes, and Wally Wolodarsky. Gavin Polone produced, and Seth William Meier, Lasse Hallström, Luyuan Fan, and Wei Zhang executive produced. Universal Pictures has set a May 17, 2019 theatrical release date. Bailey is living the good life on the Michigan farm of his “boy,” Ethan (Quaid) and Ethan’s wife Hannah Helgenberger). He even has a new playmate: Ethan and Hannah’s baby granddaughter, CJ. The problem is that CJ’s mom, Gloria (Gilpin), decides to take CJ away. As Bailey’s soul prepares to leave this life for a new one, he makes a promise to Ethan to find CJ and protect her at any cost. Thus begins Bailey’s adventure through multiple lives filled with love, friendship and devotion as he, CJ (Prescott), and CJ’s best friend Trent (Lau) experience joy and heartbreak, music and laughter, and few really good belly rubs.